Let’s part the curtain and have an insider’s look at our programming for the day. Today’s training is simple. Un-coincidentally, today’s training also has the potential to be an incredibly effective training stimulus, demanding intensity and skill in multiple energy systems with the use of basic gymnastic (pull-ups) and monostructural (rowing) movements. Simple, and effective. We start today’s training with pull-ups: two sets of maximal effort strict pull-ups, two sets of maximal effort with a permitted kip. With this we include a timed rest to allow sufficient, but not full, recovery. The strict pull-ups train and test maximal upper body pulling strength and strength endurance. With the kipping, we have an opportunity to test our muscular endurance and tap heavily into two of our energy pathways (creatine-phosphate and glycolytic). The permitted kip allows more reps than a strict variation, which allows more time on the bar, and therefore a heavier demand on our ability to persist and maintain position under fatigue. Inevitably, we will encounter fatigue from the first set to the fourth. We transition from strict to kipping to allow maintenance of higher volume, and we again find an opportunity here to train our capacity to continue to move and maintain quality of position under fatigue. Our conditioning for the day is monostructural work with a 1:1 work/rest ratio on the rower: ten sets of 30 seconds of work and 30 seconds of rest. 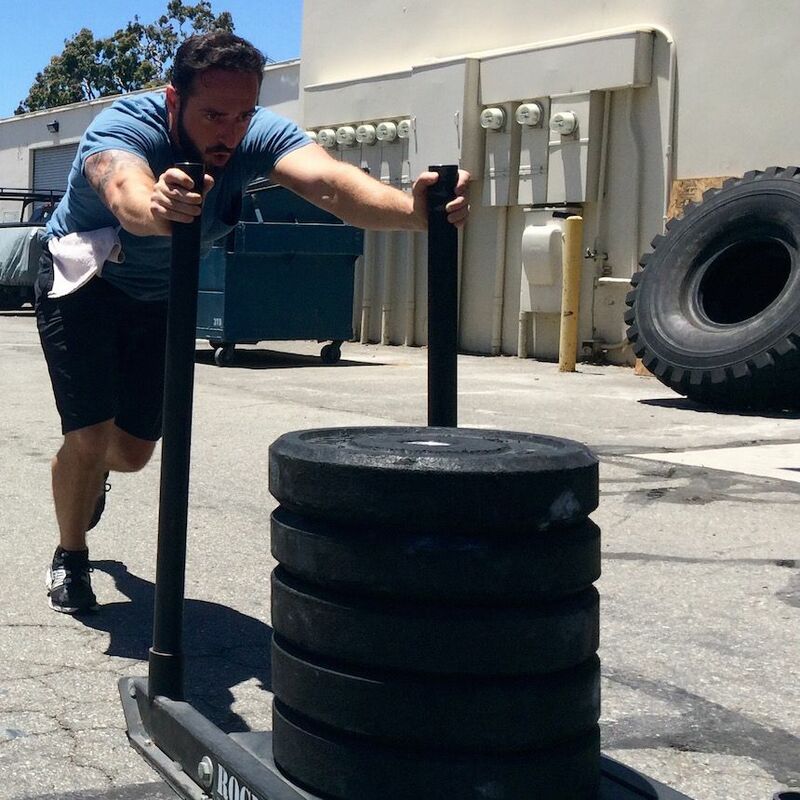 While it may appear to be a simple and relatively easy conditioning effort (“that’s only 5 minutes of total work!”), properly executed, this should be one of the most challenging conditioning workouts you encounter in your time at the gym. The work interval is short enough to permit a high threshold of effort, but long enough to push beyond just a comfortable burst of maximal output. Our rest intervals are long enough to regain some composure and energy for the next round, but short enough that we quickly begin to tap out our glycolytic system and lean more heavily on our aerobic capacities. It is not maximal output, but it is absolutely maximal effort. We encounter some expected decline in output from the first interval to the last, but our short rest still allows us to spend the majority of our time at a high threshold pace. With all of this, we put a heavy demand on our capacity to breathe under effort and load (during the 30 second maximal effort row), and our capacity to clear CO2 from the system and recover quickly for another effort (during the 30 second rest). Mentally, you are asked to put yourself in the uncomfortable place of working at or near your lactic threshold, and to maintain effort there for a time that is short enough to be palatable, but long enough to provide an incredibly potent stimulus. I enjoy fun rep schemes, complex exercises, and wide varieties of movement all cleverly -- even artistically -- pieced together to create a unique and exciting training session. It’s fun to get cerebral with our fitness, and this has its time and place. But the unsurprising trend is that the basics tend to give us a stimulus unparalleled by fancy rep schemes and clever design. This is training at its most simple and most effective.